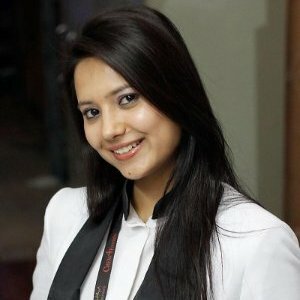 An Interview with Sugandhi Sharma,Social Media Strategist in Blue Digital Media Pvt. Ltd. and DSIM’s Ex-Trainee. She shares with us how digital marketing knowledge helped her in sharpening skills. Q1. Hi Sugandhi !Tell us something about your job profile? Ans. After completing my training from DSIM, I got an early opportunity to work with Blue Digital Media Pvt. Ltd. as a social media marketing manager. I am working as team leader with a team of 4 members. Q2. How do you feel when you finally got a job you always desired for? Ans. It was really an awesome experience which I can’t express in words. It was the one of the happiest feeling of my life. Although there were certain challenges but I took it by coming upfront and handled it strategically with the skills provided by DSIM. Q3. Can you tell us what inspired you to go for digital marketing training? Ans. The latest trend in the market infused me to take digital marketing course. Q4. Talking about digital marketing, it is one of the highly booming industries at present. What`s your opinion on this? Ans. This industry will rock in the coming 3 years. People will get more awareness about it and gradually will open the doors for many unemployed people. Q5. What about the training at DSIM? In what sense it helped you? Ans. Training at DSIM was really very good. Good presentation. Trainers are really good. The course curriculum is really amazing; it covers all aspects of digital marketing. Q6. How was your overall training experience @DSIM? Ans. I am well satisfied with the overall training experience at DSIM. My skills were sharpened with the practical training session at DSIM. I would like to thanks a lot to DSIM for that. Ans. Trainers were good, experienced, cooperative and dedicated. I would rate all trainers 5 over a scale of 10. Q8. What would you say to young generation struggling to fix their career? Ans. Digital marketing is trending, get into this field & rock your career. Sugandhi Sharma completed her Digital marketing training from Delhi School of Internet Marketing in November 2014.